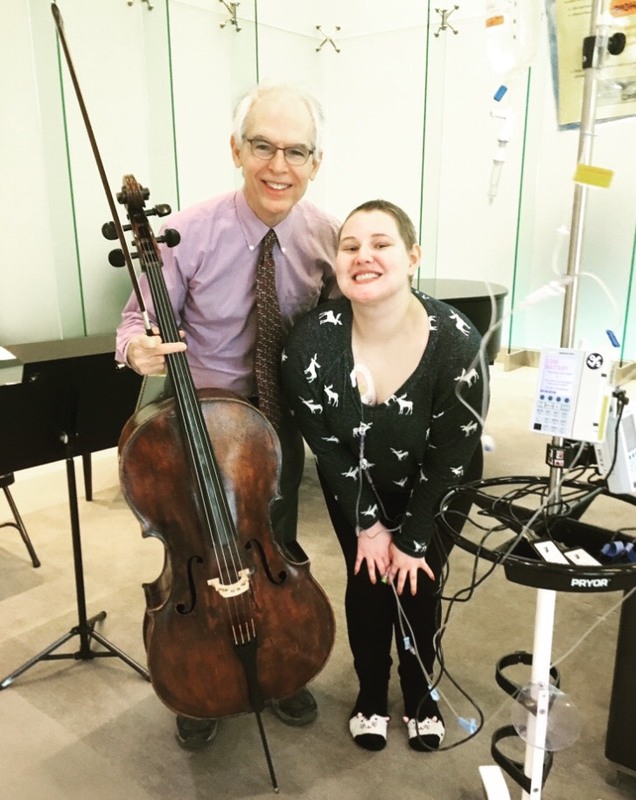 Erin McElhenny wanted to get some Starbucks and listen to beautiful music when she headed to the lobby of the Cleveland Clinic during her inpatient chemotherapy treatment for Hodgkin’s Lymphoma last week. The Seton Hill junior got way more than she bargained for after she ended up on stage with Cleveland Pops cellist Kent Collier, singing pieces by Schubert, Puccini and Richard Rodgers. “It made me feel good that even though I’m in this situation, I can still do something that used to bring me joy in my life,” she said. A video McElhenny posted of the impromptu concert has been viewed thousands of times on Facebook, Twitter and YouTube and she’s received media attention and calls from Cleveland, Erie, Pittsburgh and New York. 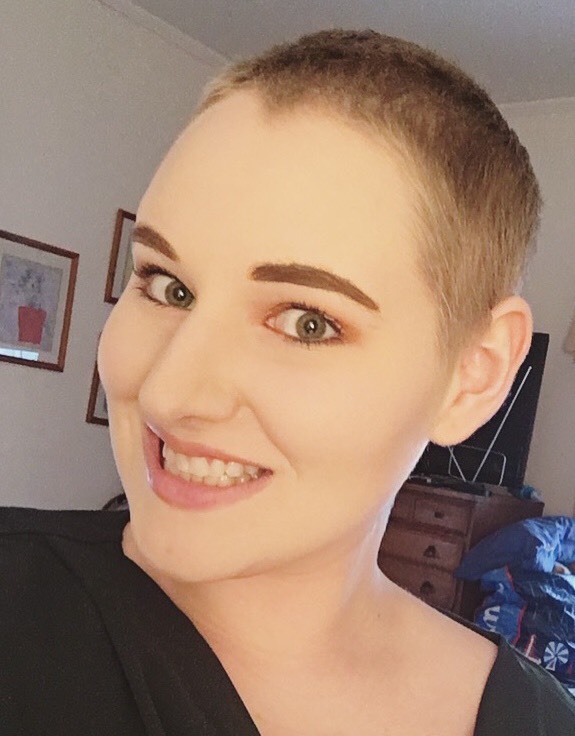 McElhenny was diagnosed with Hodgkin’s Lymphoma in March 2018. She was able to finish the spring semester at Seton Hill and planned to return in the fall once her chemotherapy treatments were completed. 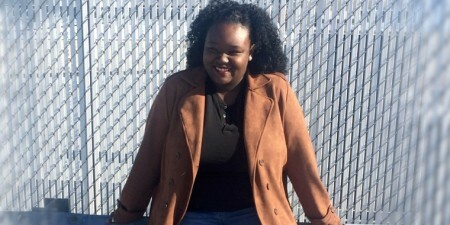 But chemo was extended by several months, delaying her return to Seton Hill, where she is a Vocal Performance major with a concentration in Opera. With a clean bill of health, she visited campus in the fall and registered for spring classes, but a check-up in early January revealed cancerous activity – and McElhenny was forced to delay her schooling yet again. She is hopeful that a bone marrow transplant scheduled for April – using her own stem cells – will enable her to return to Seton Hill this fall. In the meantime, she is receiving treatment on and off at the Cleveland Clinic to prepare for that transplant. That’s where she was when she headed to the lobby to watch one of the concerts that take place each weekday during the lunch hour. After listening to Collier play for a little while, the pair struck up a conversation. McElhenny talked about her vocal studies and mentioned that she sings opera. McElhenny was a bit critical of her performance – noting her voice cracks – but she’s realistic, noting it was done in her pajamas while hooked up to chemotherapy. “I have poison juice going into my body, so my performance was really fine,” she said. She’s also very thankful to be treated at the Cleveland Clinic – a place that embraces the power of the arts. Erin keeps in close contact with her friends and professors at Seton Hill, including Dr. Mark Boyle, Director of Choral Activities and Associate Professor of Music. McElhenny, an Erie native, graduated from McDowell High School, the alma mater of another recent graduate who has battled Hodgkin’s Lymphoma, Pittsburgh Steelers running back James Conner. “He graduated two years ahead of me, and while I did not know him, I would have sung the National Anthem at some of his high school football games,” she said. 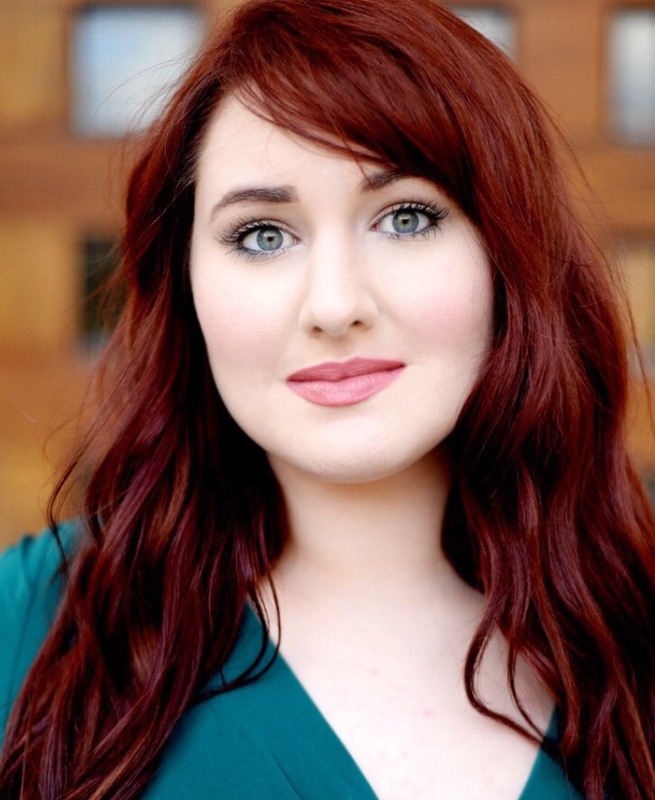 McElhenny is looking forward to returning to Seton Hill and getting the chance to perform with Setonia, the women’s chorale, and seeing her friends and professors once again. 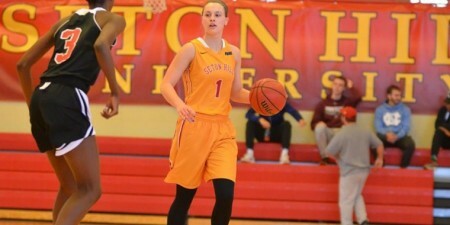 “I really do love Seton Hill so much, I just feel like it’s a wonderful environment for me,” she said.